Set on a floating island populated by pirates and lepers off the shores of the 17th century Taiwan, Ripples of Desire (2012) is a tale of talented but doomed sisters in the “House of Flowers”. 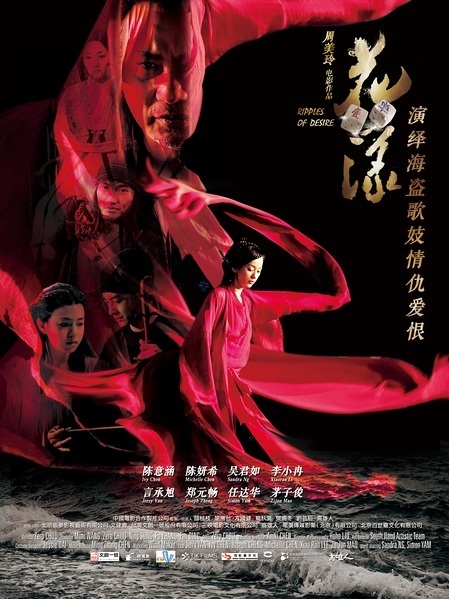 More graceful than any geisha, the sisters performed Nanguang music and dance in this poetic film by director Chou Zero, featuring music composed by Chen Mingchang. Thank you to Peggy Hua, 王莉茗Mimi Wang, 蔡志偉William C. Tsai and 臺灣電影節Taiwanese Film Festival to help arranging for the screening. The composer discusses about the music (Mandarin).